My soul keeps looking for magic. 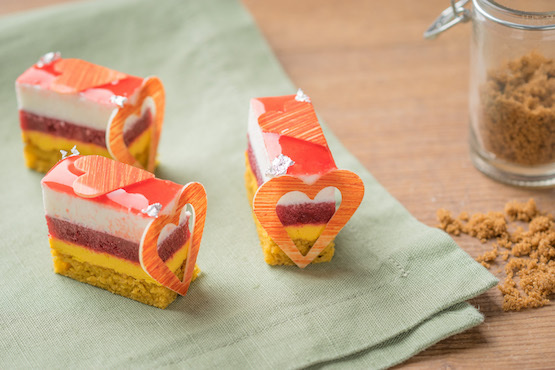 For me, magic is everything that goes around pastry and writing about it. I’ve a degree in economics and gastronomic science and I entered Cast Alimenti by chance as an intern in 2012. At that time I did non know nothing about this world and I totally felt in love with it, sure about the path. I ended the internship in March 2013, and in that moment I saw my student life as belonging to someone else. But I had a dream and I’ve worked hard to make it real, because I’ve never imagined myself behind a desk. 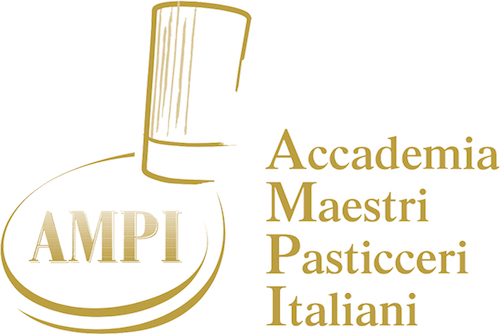 Today I’ve just entered the AMPI, the most important association for Pastry Chefs in Italy, two years ago I won the world championship “The Pastry Queen 2016”, and today I’m a free lance, technical advisor for many companies and I’m working to become a journalist, because I have been writing for Pasticceria Internazionale for several years. And, if in 2012 I did not know my future, now I’m sure, I’m on the right way, but it is just the beginning of the road, because I need to learn more and more, never stopping. And even if everything is happened in a while, right now I’m sure that I’ll not have to choose between pastry and writing. Between a pen and a whip. Between a page and a recipe. Between semicolons and the pastry chemistry. Because they are both fantasy, culture and creativity communicated in different ways. Fly away with no limits. Two methods to express myself and to show my personality. Two ways to keep growing up. So, I will keep holding the pen in a hand and the whip in the other one because in this way my eyes keep on shining. Sono un’anima in cerca di magia. E per me la magia è tutto quello che ruota attorno alla pasticceria e alla scrittura che sa raccontarla. Mi sono laureata in economia e scienze gastronomiche e sono entrata per puro caso come stagista in Castalimenti. Ancora non sapevo nulla di questo mondo di cui mi sono follemente innamorata, ma ero convinta del percorso. E se nel marzo 2013 uscivo da quella scuola che per me è stata casa, adesso, voltandomi indietro, mi pare che la vita da universitaria appartenesse a qualcun altro. Non avrei mai passato tutta la mia vita dietro una scrivania e mi sono rimboccata le maniche per rendere il mio sogno reale. 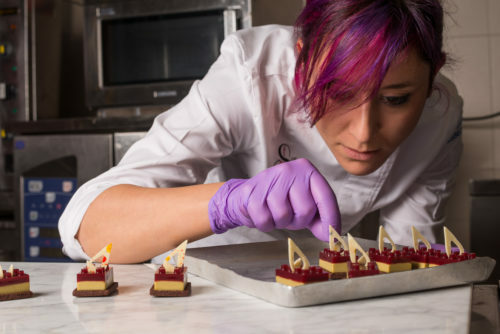 Oggi mi ritrovo ad essere la Prima donna Maestro AMPI, ad aver vinto un titolo mondiale, il “The Pastry Queen 2016”, sono libera professionista, Consulente Tecnico per diverse aziende e collaboratrice di diverse realtà professionali. Infine anelo per iscrivermi all’albo dei giornalisti pubblicisti poiché quando sono inciampata nella pasticceria, mi sono catapultata anche nel mondo che sa raccontarla, cominciando a scrivere per Pasticceria Internazionale. 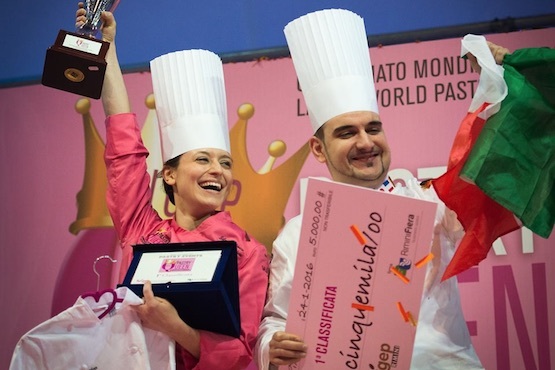 ©2016-2018 Silvia Federica Boldetti - Pastry Queen 2016 - All rights reserved | P.IVA: 11050060018 | Website developed by: Gabriele C.